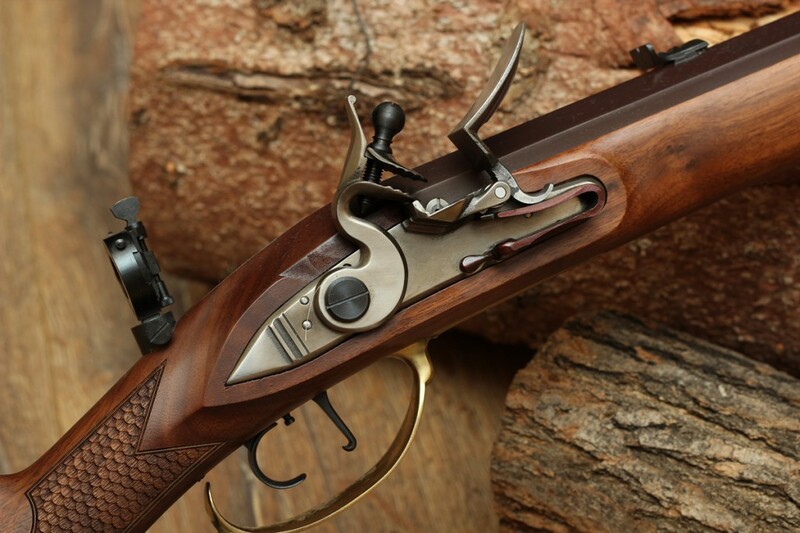 A fast lock – and a good shooter – is essential to shoot straight with a flintlock rifle. Now here is a short collection about fine tuning your lock to make it as fast as possible. 1. Check the ergonomy of the lock: the sparks should fall directly into the center of the pan. You can play with the lenght of the flint adjust this position, but it’s better choose a lock with good ergonomy. 2. Check your flint size: put the hammer in halfcock, close the frizzen. The edge of the flint should be cca. 1 mm from the steel. Check the width of the flint: it should not be bigger than the width of the steel. 3. 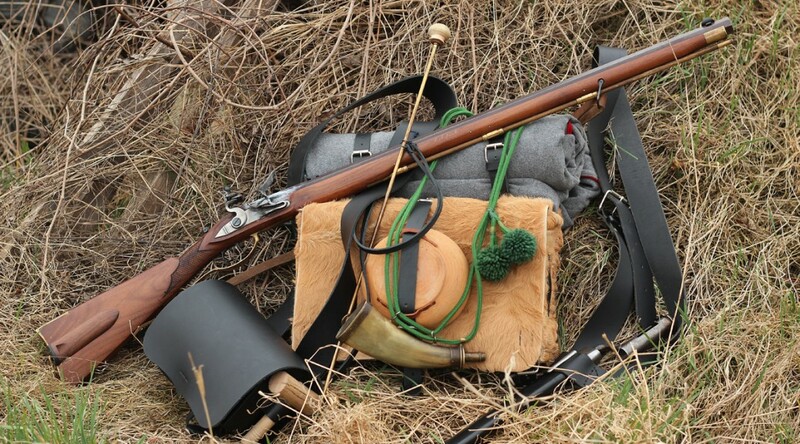 Check the flint placement: wrap your flint into a piece of leather or lead sheet, and tighten the hammer screw. It should be tight in the jaws, without moving. 4. Bevel up or bevel down? Both can work. The longer way the flint travels on the steel the better your ignition will be. If the height is not good, place a piece of leather under or over the stone, to adjust height. 5. Check the spring tensions: the force of the main spring should be 3 times more than the force of the frizzen spring. If the frizzen spring is too strong the stone will break often and the frizzen will wear quickly. If you need some adjustment on the springs, take your lock to a qualified gunsmith. 6. Check the frizzen. Firzzens die. 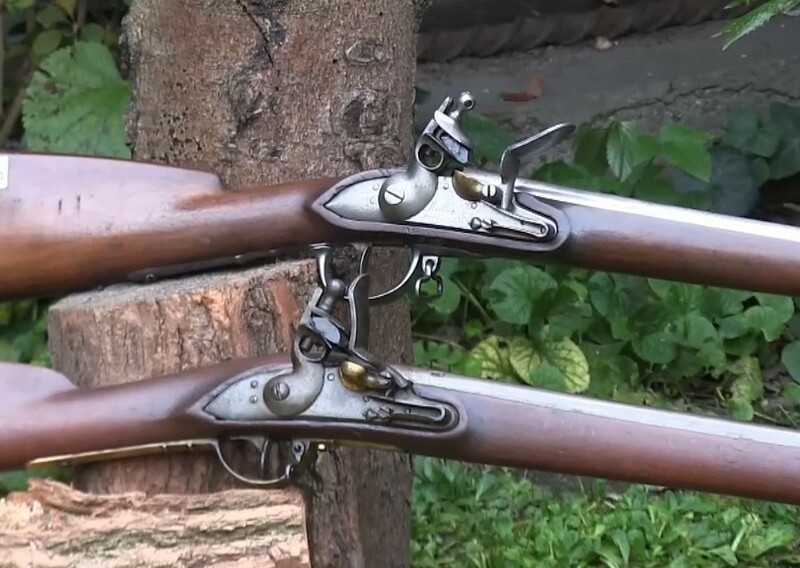 Each time you fire your flintlock the stone cuts off small metal particles from the surface. These small particles are the sparks. The frizzen surface is hardened with adding coal. If this surface vanishes, your frizzen will stop working. 7. Clean your frizzen. After each shot wipe off the residue of the priming powder. You can do it a wit a spit patch, but its better to do it with alcohol (but don’t drink that while shooting please 🙂 ). 8. Clean your stone. After each shot wipe off the residue from the stone as well. Preferably with the same cloth saturated with alcohol. 9. Place the priming powder well in your pan. Never fill the touch hole with powder. It will make your ignition secure, but the lock time will be slow. Experiment with how much space you need between the touch hole and the powder. It is different with every lock. 10. Take care for the right amount of priming powder. Too small amount will fail to ignite the main charge too much will make your ignition slow. 11. Use only the finest powder available for priming. I use OB for target shooting and 4Fg for hunting. I use 4Fg for hunting because the particles of the OB are so small, that they can pour out from the closed frizzen while stalking. The finer the powder the faster the ignition will be. 12. Sharpen your flint time to time. That’s one very important task. If the flint is not sharp it will not be able to cut metal particles from the frizzen, therefore it will not spark. I’ll write another post about flint sharpening later, so stay tuned! 13. Clean your touch hole after each shot. After you fired, put a pin in the touch hole and remove it only when you are to prime the lock for the next shot. 14. Change your flint often. Flints are not eternal. They die as well. If you had 70-100 good shots from a stone, you are fine. Start each competition with a new stone. I also use a new stone when I go hunting. But be careful: test the lock several time with the new stone. (without load of course). 15. When you clean the lock, never put oil on the frizzen or on the stone.